When I first told Marissa I planned on going through Doula Certification, she told me she would be my first "dual" client to get both documenting and doula support. I learned a lot with her, as we have together for most of our lives. However, the most important thing I learned was no matter how badly we want something for ourselves, our babies, and our loved ones- sometimes it just doesn't happen the way we hope it will. I'm so grateful I was able to support Marissa through her pregnancy and birth, and I'm honored that she allowed me to hold that space for her. 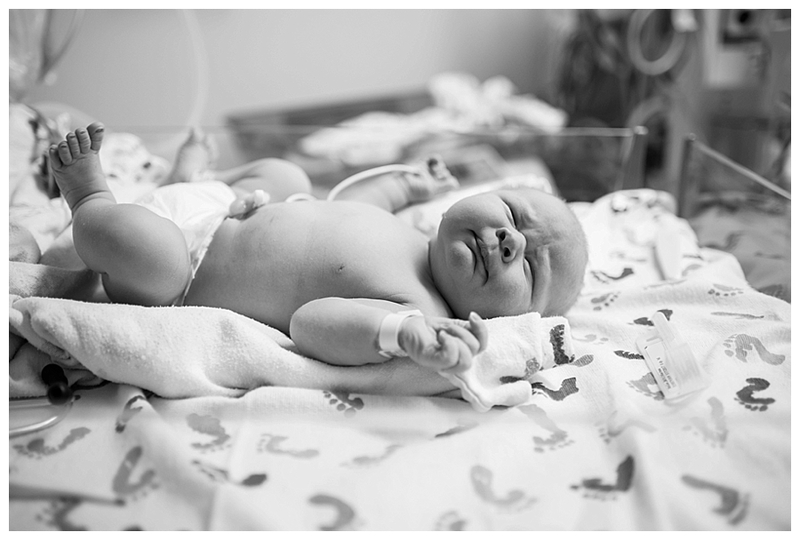 It began to look like a repeat surgical birth was likely, and I was devastated for her - not because a surgical birth is bad, but because I know how her first birth affected her, and from her own words about how a repeat would affect her. HOWEVER. Marissa is much stronger than I gave her credit for. And much stronger than I could ever be. She handled her labor and birth in stride, and while things were checked off of her birth plan one by one - her ultimate desires were reached. I could never do a birth justice with my own words. After the jump Marissa will tell the story of Rhett's birth day, followed by all the beautiful photos that show a mother's dedication, a father's love, and the arrival of a strong little man bound to move mountains. We humans don’t tend to do well in situations of sudden change. And yet, C-section mamas find a way to let go of their pride and connect with an inner strength that allows them to enter the OR and give birth to their child. And then the actual surgery happens. The actual cutting and suturing. Full recovery often takes months. And while most of us would like to curl up with a bowl of ice cream and a stack of movies after a major surgery, C-section mamas do just the opposite. They nurture and love and bond with their needy, beautiful babies. In March 2014 when we brought our daughter into this world, it was one of the best yet worse experiences of our lives. My pregnancy wasn’t the easiest with both high blood pressure and gestational diabetes. My blood pressure kept getting higher with the passing weeks, despite upping my medication. Therefore, I was induced at 37w3d. I went in late Sunday night and was given Cervidil. The next morning Pitocin was started and increased quickly, my water was also broken early that day. The rest is kind of a blur but what I remember was a lot of pain and being stuck to a bed for the entire labor. My epidural failed after four hours and the pain was so intense that I ended up asking for a cesarean just to get it over with. 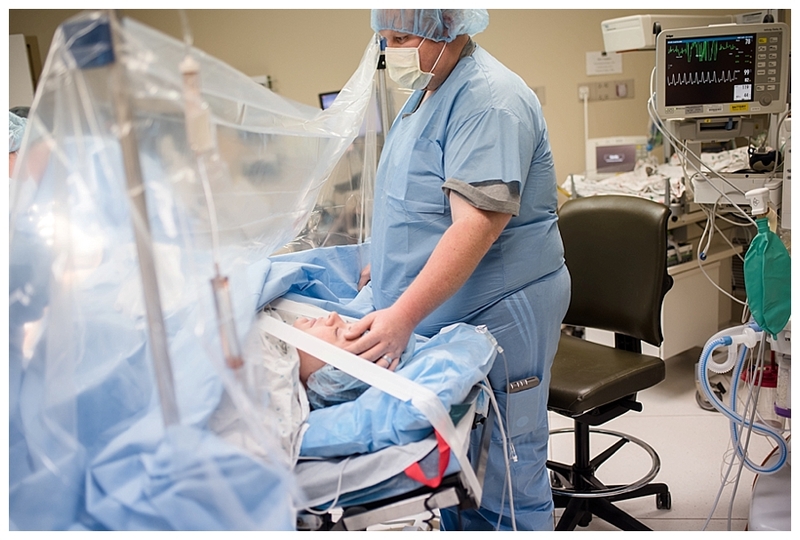 I went into to the OR with expectations of receiving a new epidural, or even a spinal block, however the anesthesiologist decided that general anesthesia was the easiest way for him. This meant that I was put to sleep and neither my husband, nor I, was able to see our daughter be brought into this world. I was out of it for hours and missed the important bonding time, my daughter never could latch an our breastfeeding journey was non-existent. I exclusively pumped for three months, which isn’t a very easy task, until I dried up. 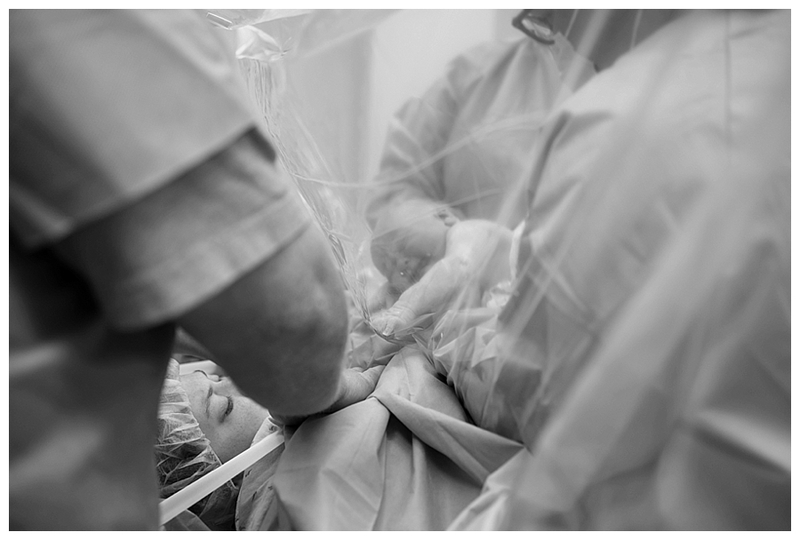 The birth of our daughter left a terrible taste in my mouth, I swore to my husband that if we decided to have another child that it would be a scheduled cesarean because I did not want another experience like that one. Fast forward to September 2016, we found out we were expecting again! The more I thought about the upcoming birth, the more I yearned for a healing VBAC (Vaginal Birth After Cesarean). I sought out for the best doctor who specialized in VBAC’s and was pointed into the direction of an amazing doctor in Edmond. I was excited to go to my first appointment, I had my “wish list” that showed what my ideal birth looked like. I wanted free movement, intermittent monitoring, food and water, no induction, no epidural, and last but not least, a vaginal birth. Mainly I just wanted the total opposite of our last birth experience. I wanted to carry to term and allow my body to birth this baby on its own time. At my very first prenatal appointment, my blood pressure was already high. I was crushed! 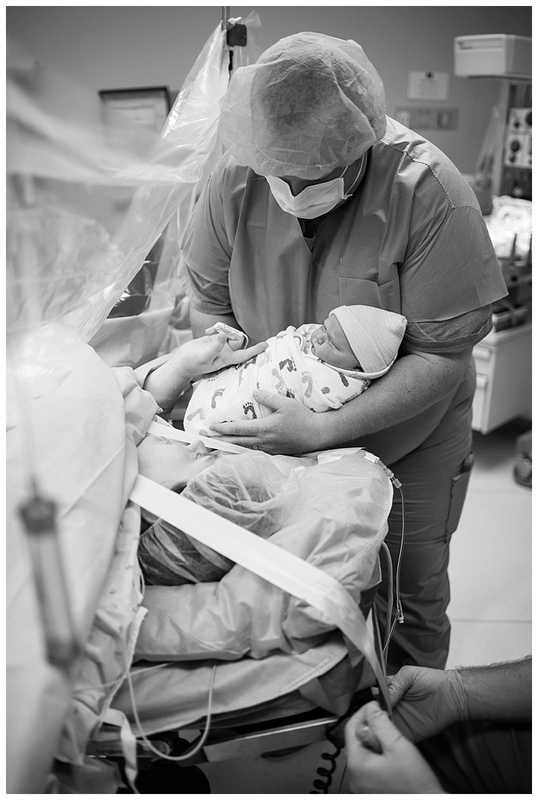 All my visions of the perfect birth went out the window and the dreaded word of cesarean was brought up as a worse case scenario. To be honest, I didn’t hear the rest of what my doctor said that day. I mentally checked out and didn’t want to hear anything else, I broke down crying and couldn’t get the visions of my previous birth out of my head. She probably thought I was a basket case at that point, but she remained optimistic and said that we would wait and see how this pregnancy went. Thankfully, my blood pressure was well managed with medication and I passed my Glucose test! I had the easiest pregnancy, especially compared to my first. My doctor and I decided that we would go as far along as we safely could. I spent the remainder of my pregnancy prepping my body and mind for the natural birth I planned for, despite all the negative comments from family and friends for not “taking the easy way out with a repeat cesarean”, this included things like Bradley Method classes, taking red raspberry leaf supplements, chiropractic care, and attempting most of the “natural” induction methods out there. At 39 weeks, my OB placed a Foley bulb to try and kick start labor, in hopes of avoiding a pitocin induction at 40 weeks. 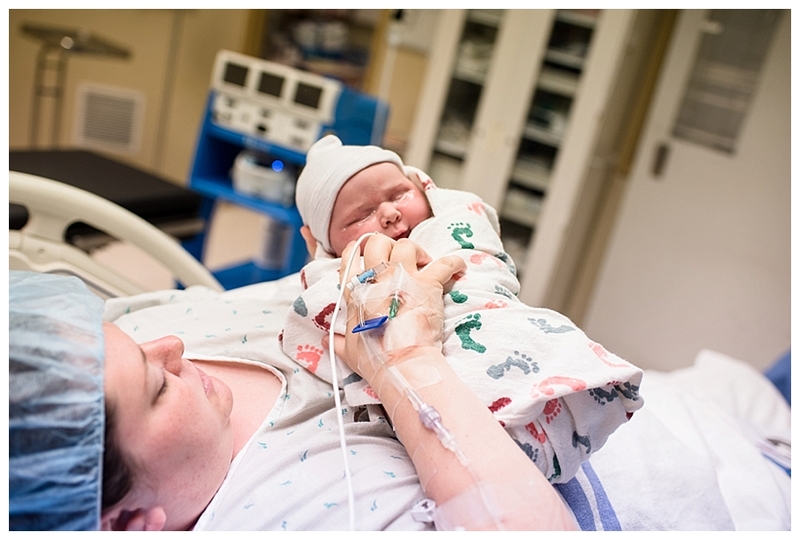 Contractions started as soon as I got to the car, I thought to myself “Oh goodness, this is it. I’m not ready! 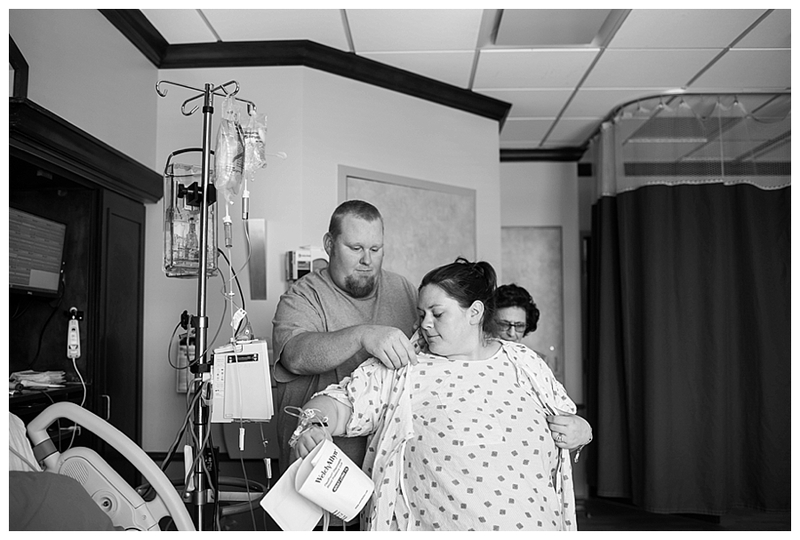 !” The 30-minute drive home was the worst, contractions were every 4 minutes or so and were very uncomfortable. Once home I got into a shower, the hot water helped relax me which made it not hurt as bad. Four hours later, around 6:30pm, I went to use the bathroom and it fell out, along with a massive gush of water. “Did my water just break?! Babe, my water just broke!” I half yelled to my husband who was in the other room. My contractions ended up slowing down later that night though. Stephanie sent me a bunch of ideas of how to get them going again, she also came over to try and help. After a while we decided that rest would probably be my best option. I tried laying down but couldn’t settle down enough to get any rest so instead I went outside and walked our street, did lunges, sat on the birthing ball, and tried pumping. The contractions started back up but weren’t very strong, nor consistent. Around 7am we decided to go ahead and go to the hospital since it had been about 12 hours since my water had broken. I went in and got checked out, I was a 4 and 60% effaced…but my bag of waters was still intact?! Everyone, me especially, was stumped as to what the gush of water was when the bulb fell out. Since my contractions weren’t close together and my water was intact, I went home. I had on and off again contractions for the next week! Every time they started up I just knew that was going to be it, I was going to go into labor by myself and not have to get the evil Pitocin that I wanted so badly to avoid. But it wasn’t, Monday afternoon I was called by Labor and Delivery and given instructions on what to do to prepare for my induction the next morning. Tuesday May 16th, 6am came very slowly, I couldn’t sleep that night due to contractions and a wondering mind. I reluctantly woke my husband up and we went to the hospital. My anxiety was through the roof, was I going to have the same birth outcome as last time? I was checked in and hooked up to everything. I was checked by the nurse and was told I was a 2..a 2?! Are you kidding me? How did I go backwards? The doctor came in and rechecked, I was a 4 still but that beat going backwards to a 2. Eventually the Pitocin was brought in and started at a very low dose, after all I had been having contractions for the last two weeks so it shouldn’t have taken much to get the ball rolling, right? Wrong! I went all day/night at a low dose, my contractions were pretty consistent and getting stronger. It wasn’t until late that night that they started to get really strong, this is where my timing and events begin to get a little blurry. At some point, the doctor broke my water which allowed me to get the external monitors off, which made switching positions a little easier but the contractions even more painful. Stephanie had me constantly moving, even though all I wanted to do was sit on the bed with it in a chair position. She had me moving to the toilet, birthing ball, hands and knees, swaying leaning against the bed, etc. If it wasn’t for my husband being my rock and constantly being by my side, most of those would have been impossible! The most comfortable of those positions was being on my knees leaning against the bed, this allowed my husband to apply counter pressure to my lower back which at this point was killing me! I was at the point where an epidural sounded amazing, although I was scared it wouldn’t work but for a few hours and it would only hold me back more, so I asked the nurse to check me and she said I was around a 7 to 7 and a wiggle. I was ecstatic, after all I only got to a 4 with my daughter, and knew that I was coming close to the end so I settled for some IV pain meds instead of an epidural to take the edge off. I was finally able to get a little bit of rest, as did my husband and Stephanie. Wednesday, May 17th, as the morning came so did shift change. My new nurse came in and did a cervical check, she told me I was dilated to about a 4, maybe 5. I may or may not have lost my cool and told her I wanted my doctor to check because I was told all night that I was a solid 7. My doctor came in and checked me, she said that my night nurse was mistaken that I really was a 4, maybe 5, and continued to give me a tough love speech about how they needed to start raising my Pitocin and get things really going. By this time, I was ugly crying. I felt defeated, like my body was broken. I couldn’t imagine the pain getting any worse, but my husband and Stephanie reassured me that it would all be fine and that I was doing great. I think they were lying to me though because I didn’t feel like I was doing great, I felt like I was losing it during every contraction. The pain in my back only got worse, both Stephanie and the nurse were convinced that my baby had turned sunny side up and I needed to do more positions to get him to turn back around. I was reluctant and pretty much told them to screw off, I was very mean from that point on. (Sorry Dylan, Stephanie, and morning nurse - I didn’t catch your name) After a few hours when it was confirmed that my baby wasn’t interested in coming down and I was still only dilated to a 4, my doctor decided that a cesarean was in my best interest. After more ugly crying and some comforting hugs from my doctor, we agreed that we’d go ahead with the cesarean. The Pitocin was shut off and within twenty minutes I finally had relief from the back to back contractions, I could get out of bed again without feeling like my body was being shredded into pieces. My husband and I got prepared to go back for a cesarean, I think it’s safe to say that he was just as nervous as me at this point. I went back to the OR and they gave me a spinal block, it worked first try! They brought my husband back and while he enthusiastically watched the entire thing, all I could do was remind myself to try to relax and breathe. When the doctor got to the baby all I could hear was “oh wow, he’s such a big baby” and how he was looking straight up at the ceiling, dang it-the nurse was right. He was placed on my chest and his daddy was able to cut the cord. Rhett was taken to get cleaned and measured, weighing in at 10 pounds 6oz, 22 inches long, with the biggest head that the nurse has ever seen at 38cm! Before I knew it, we were settled in our room where Rhett quickly became a pro at nursing. 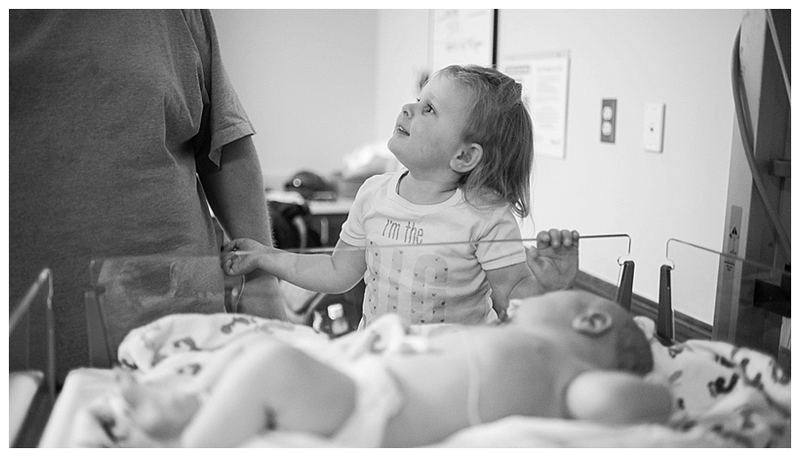 A few hours later, big sister was brought in to meet her brother-our family was complete. Needless to say, bringing Rhett into this world didn’t go as I imagined, however, I did have my healing pregnancy/birth. 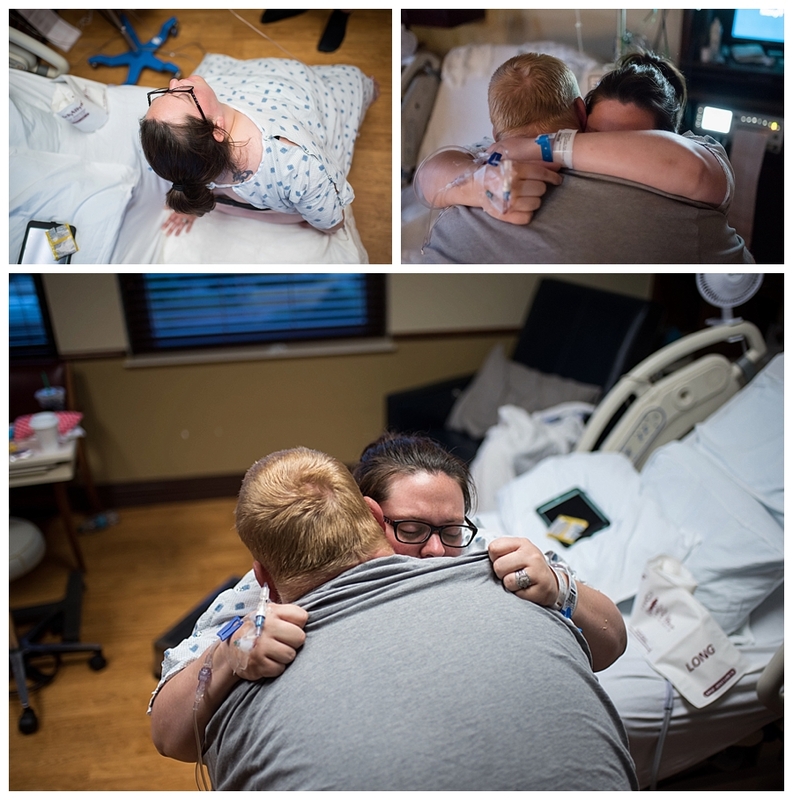 I carried to 40 weeks, had free movement during labor, had food and water, didn’t get an epidural, and was able to witness the birth of our son. Many ask that since it ended in a repeat cesarean, why didn’t I just save myself the trouble and sign up for a cesarean in the first place? Well, to those I say, because I wanted the experience of an empowering labor and birth. 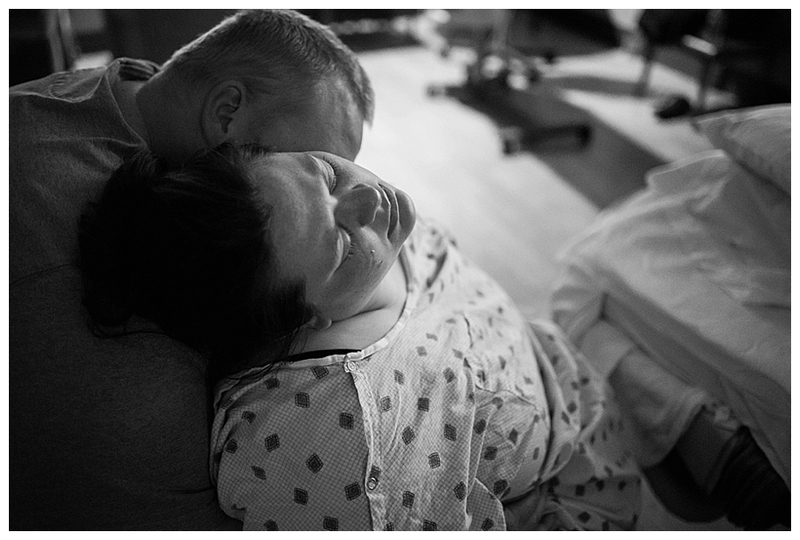 I wanted the intimacy of having my husband support me during contractions, I never felt closer to my husband than I did during this labor. I wanted to be able to say I did it without an epidural, 26 hours of Pitocin labor without an epidural isn’t easy. I got all that, plus more. 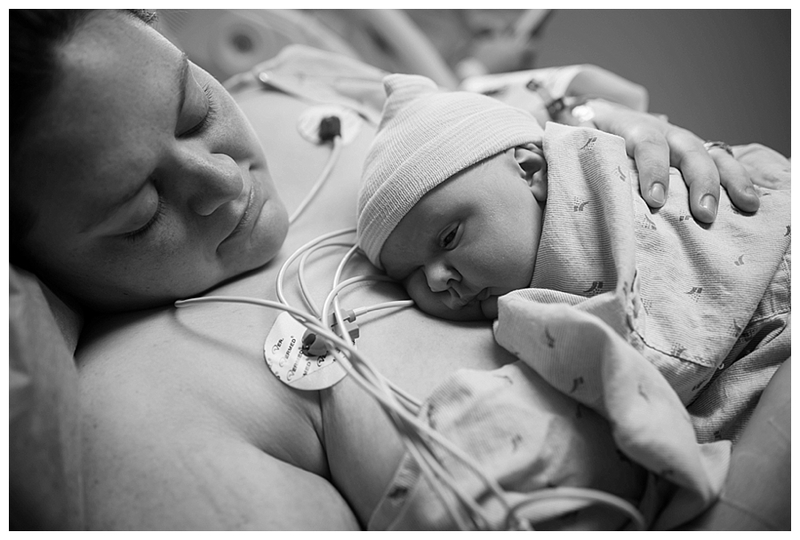 I may not have been able to have my VBAC, but I still felt like I succeeded thanks to my husband, Stephanie-doula, and my very patient and supportive doctor. You guys are the reason I was able to go as far as I did, I can’t thank you guys enough. I was not allowed into the OR, all photos taken during that time are thanks to a wonderful nurse who volunteered to man the camera in my place.